From the vibrant city of Auckland you’ll travel south to the spectacular mountains and thrilling adventures of Queenstown. Along the way you’ll travel through heartland New Zealand, including the cultural mecca of Rotorua and quirky Wellington City in the North Island. While in the South Island you have opportunities to meet our unique wildlife in Kaikoura and Dunedin and marvel at the magnificent wilderness of Milford Sound. Day 8 - Head south through north Canterbury countryside to Christchurch. Travelling to Milford Sound, you’ll see beautiful and iconic scenery. From crystal clear lakes and towering mountains to glacier formed meadows and lush rainforest, this area is unlike anywhere else. Stop for a stroll through native beech forest on the Chasm Walk, a scenic track to several powerful waterfalls. Continue on through the Homer Tunnel an engineering marvel at 1219 metres long. Arriving into the village of Milford, you will be greeted with an amazing view of Mitre Peak. A day cruise into the heart of the sound with Real Journeys is not to be missed. You’ll learn about how this magnificent area was formed and experience the wonder of the falls that line the Fiord. 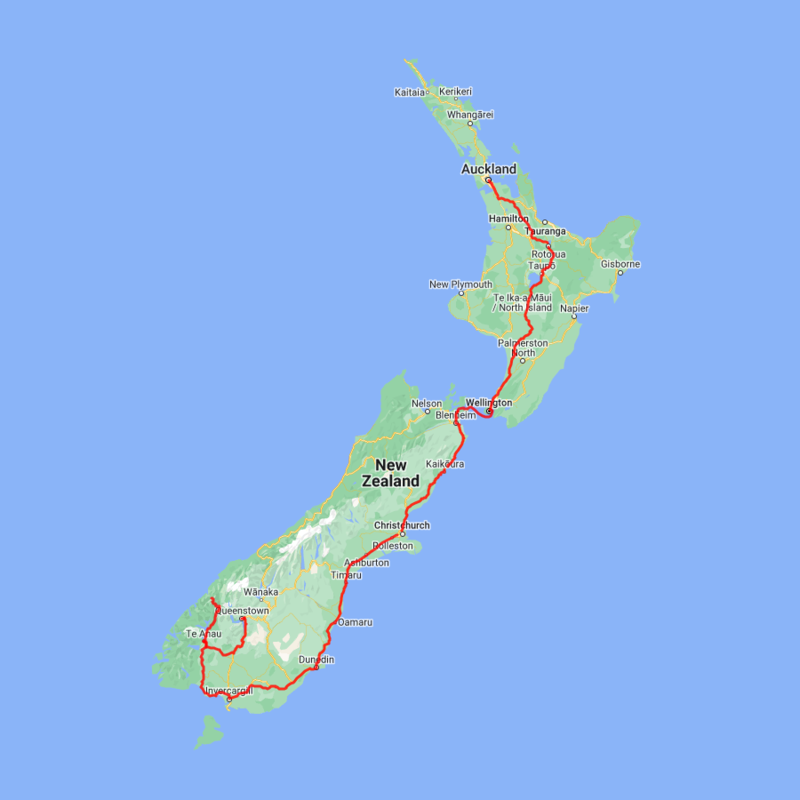 Your drive today takes you from Te Anau to Queenstown through vast alpine tussocklands. Pass Mossburn, the deer capital of the nation then continue on through the southland countryside where the road begins to hug the lake edge. Marvel at the Remarkables mountain range as you begin the final leg of your journey to the adventure capital of New Zealand.